The Royal Essence - an art program typical of cultural heritage of the Ancient Capital - was performed successfully at Hue Festival 2018. 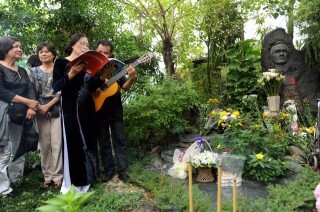 It continue to be nourished to become a distinctive art work for tourism purpose. 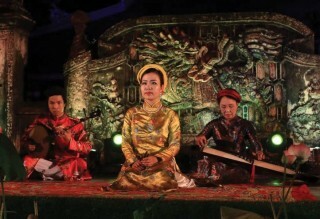 As a distinctive program at Hue Festival 2018, the two night performances of ‘Royal Essence’ at Can Chanh Palace (the Citadel) attracted hundreds of spectators beyond expectation. That was a great success that the Hue Monuments Conservation Center achieved when it was the first time the center used only the on-site resources, such as playwright, scripts, director and actors to build up an artistic program which was highly praised for its imposing, meticulous and splendid level. ‘Royal Essence’ is a narrative of the process of unification of the country and the construction of Hue being the capital throughout the reign of the Nguyen Dynasty. During this period, many heritages of the ancient capital arose and stood out. The evidence being the five heritages, both material and intangible, were recognized by the UNESCO and its affiliates. 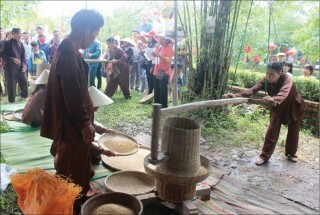 Hue has more advantages than many other cities in terms of cultural heritages. Yet, the concern is how to turn the advantages into the incomparable strengths in tourism activities. Several heritage-inspired tourism products have been investigated and introduced, but they failed to maintain their long-term existence. Realizing the problem, the Hue Monuments Conservation Center thought of creating a tangible tourism product like ‘Royal Essence’ to make a big hit and proudly introduce cultural heritages Hue is keeping. Hue Festival 2018 was a good opportunity for a trial of this program, especially that of the strength of human resource. 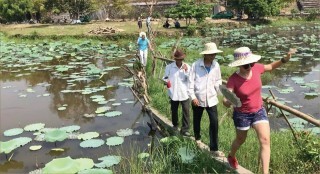 Many tourism-advantaged cities have introduced distinctive art programs such as Tinh hoa Bac Bo (‘the North Elite’) in Hanoi, Hoa Dat Viet (‘the Vietnamese Flowers’) in Nha Trang and Ki uc Hoi An (‘Memory of Hoi An’). These art programs all aims at region-specific artistic spaces that whenever visitors come, they must see them. It is like a check-in place during their travel. 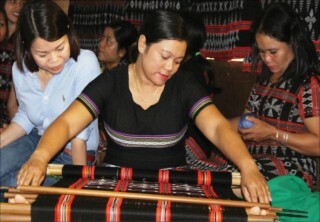 ThuaThien Hue is capable of having the qualities and golden hands to design such “must-see” art programs. ‘Royal Essence’ is being oriented to making this end come true. As part of Hue heritage, the Royal Theater ‘Duyet Thi Duong’ has daily performances, introducing to visitors the outstanding cultural values of the Nguyen Dynasty performing art, including dancing, traditional drama and music. The drawback remains in the theater capacity of 80 seats and the architectural space of the theater does not allow the organizers, with their convenience, to put certain graphic designs on the stage. 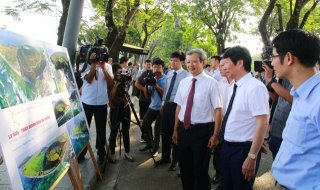 To constructively develop services basing on promoting values of Hue ancient capital, the Hue Monuments Conservation Center started the program ‘The Citadel by Night’ in April 2017. Despite the reaching at a considerable number of visitors, ‘The Citadel by Night’ frequently discontinued due to rain and ceased the performances after five months of operation. 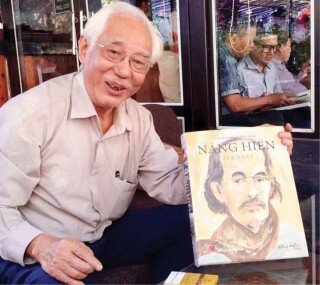 Nguyen Phuoc Hai Trung, Vice Director of the Hue Monuments Conservation, said that for the ‘Royal Essence’ being a frequently performed art program, it was primarily objective to have it performed in the theater. The Center is now having a project to build a theater on the foundation of Cuu Tu Dai theater in An Dinh Palace, where ‘Royal Essence’ will be organized. Once performed in the limited space of the theater, ‘Royal Essence’ will be reasonably streamlined in terms of unnecessary details, contents and duration. 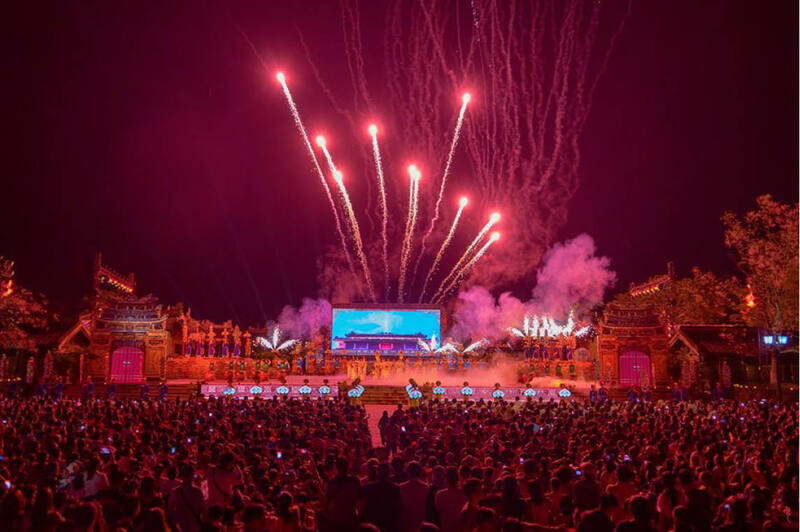 “The performance of ‘Royal Essence’ in Hue Festival 2018 was 80 minutes long and required 400 actors and actresses, both professional and amateur. When it is made part of the theater program, it is expected to maintain the most elite and impressive. 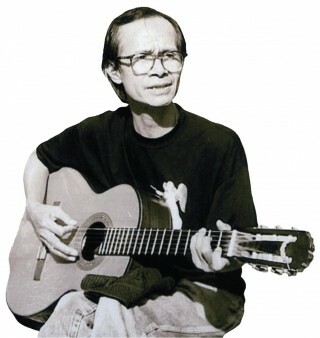 Compared with ‘the Royal Night’ program which visitors were welcomed with unrelated performances on small stages, the ‘Royal Essence’ contrarily makes it a logically unified narrative of a historical process with highlights.” said Nguyen Phuoc Hai Trung. The program ‘The Citadel by Night’ will make a comeback in July 2018, but ‘Royal Essence’ is still behind the schedule. Dr. Phan Thanh Hai, Director of the Hue Monuments Conservation Center, explained that ‘Royal Essence’ needed to appeal significant social investments and professional development. Thus, we needed more time to call for investments in the policy of socialization.